Home, Garden, Life was born back in 2011. Precious hours spent writing, editing, photographing posts with the hope of sharing/inspiring those who follow. 2019 arrived, and I ponder whether my efforts are now relevant. The world is rapidly changing and not for the better in many instances. Most people have short attention spans, are overworked, are underpaid, are constantly stressed, all while being over medicated, addicted to caffeine and most devices. When I think back, and not that long ago, immediate access to people, places, and things were not necessary…so why the urgency now? The subject of Home continues to be all the rage with online programs and FB pages like Fixer Upper and Houzz, yet my personal projects fail to evoke comments from readers. If this blog fails to inspire, what’s the point? 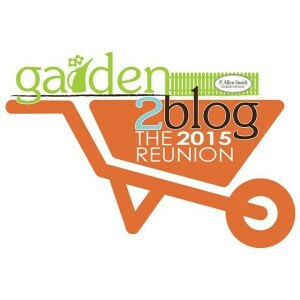 Garden topics continue to amuse and frustrate those who attempt this hobby. I admit, these days I enjoy seeing Monty Don on his YouTube channel. He takes me to all the grand gardens of the world; places I will never see first hand. Monty raises gardening to a high art jammed with history. I surmise England does not have the ravenous insects/fungal issues of my garden experience here in central Virginia. These dormant days, my visits to the garden include only bushels of pine bark mulch, river rock, and pea gravel — my endless attempts to slow down water on a site wrongly graded back in 1972. Life is a gift, yet with current events, I limit my exposure. I enjoyed travels/experiments of youth, and am grateful for those years. Photography remains a love, yet my camera now sits idle with a dust cover. As I rapidly approach a significant birthday, I question my validity as a blogger, homeowner, gardener, and productive human being. Everyone deserves a roof over their head, a healthy meal or two, access to quality medical care, and inspiration to follow a passion. When I learn about the homelessness of Silicon Valley employees and the grotesque wealth of tech giants, I feel saddened. When I learn about the vast and growing plastic pollution in our planet’s oceans, I feel sick. Paramount is the fact that the USA is currently saddled with an American president who clearly demonstrates signs of mental illness. Just click the link below to watch/listen. And I am powerless to change any of this. Although, not completely ambivalent, I lobby for US legislation that supports reduction of wild bird “death by glass” by changing building codes that require non-reflective glass walls. Also, I regularly correspond with local government officials regarding affordable housing. My small town of Charlottesville, VA (recently in world news for the wrong reasons) is exploding with housing projects, few which are affordable and most prices are in excess of 400K. Finally, I remain passionate about recycling and converse often with local officials regarding the efficiency of our center. Where does all that stuff go? How much of it is actually recycled? Decisions of the majority are skewed. Greed is prevalent. Perhaps evolution will take care if it. Perhaps we will implode. Perhaps a grand shift will snap the majority to attention. For now I will focus on what I can improve/accept/ignore and attempt to stay on an even keel. Garden containers are available in all sizes, shapes, and colors. Over the years, I selected a few for my half-acre gardens in Central Virginia. This is one of a pair, color changed with deck stain. Many plants were tried, yet last year I decided to forgo needy plant material and go with pebbles of various sizes, shapes, and colors. I confess…I love rock and have shoved handsome specimens into suitcases while traveling in Canada, Wyoming (that one first went into my saddlebag), New Mexico, and Massachusetts. I also enjoy garden containers, and now marry the two for a handsome result. I am bewitched by rock, pebbles, and stones. They are everlasting, visually appealing, and oh so sensuous. Moss finds its way around stones. And moss finds its way between ground stones and one metal mat outside the garden shed. If I stood outside long enough, moss would grow between my toes, I digress. An especially old container from Mexico now appears to be holding eggs. The sister container from Mexico, decades old, survives with only one small repair. Mostly filled with pine bark mulch, topped with pebbles, I adore the ease and quiet beauty during all seasons. Notice how the granite salvage nearly vanishes into the mulched ground. While there is plenty of plant material in the surrounding herbaceous borders, containers become sculpture. Perhaps a bit busy, this terrace garden just outside my kitchen door provides tasty herbs for pestos, remains stable, while the quiet containers add interest. The vintage wire basket from a Charleston, SC garden, was just the right size to add a bit of whimsy to the larger shapely container. This contemporary planter was a gift from Crescent Gardens. Surprisingly lightweight, it found a home on my lower patio, where I enjoy its shape and uncluttered appearance. Although merely a clay saucer, this container provides one Carolina Wren with endless bathing opportunities throughout these steamy August days, and this ritual brings continual visual delight to moi. I hope that your summer delivers moments of visual delight. Too often, these moments are small and fleeting, yet are forever memorable. Sunday is my favorite day of the week. A day when I can lounge around the cottage. Breakfast can be special and this rainy Sunday called for popovers. The batter is so easy to prepare. Just have all ingredients at room temperature. Today’s result was especially beautiful, and I decided to capture these images for your pleasure. With so few ingredients, the amazing chemistry delivers a tall, tender, tasty popover. And just think, these were made with only five ingredients. I substituted whole milk with unsweetened vanilla Almond Milk by Blue Diamond. Last year I had fresh blueberry conserve on hand and embellished this popover with both the conserve and freshly whipped cream. Preheat oven to 450F, with rack in the middle position. Lightly spray the popover pan (yes one needs a popover pan) with Baker’s Joy™ cooking spray. Place all room temperature ingredients in a medium stainless mixing bowl and quickly whisk until fully incorporated. Do not over mix. Divide the batter between the four compartments and transfer immediately to the oven. Without opening the oven (one may peek through the oven’s glass window) bake for 15-20 minutes until popovers have risen and are golden brown. Remove from oven and serve immediately with melted butter and local honey or freshly made conserve and whipped cream. OK, here is where I unashamedly advertise my newly minted cookbook. For the past three years, I have culled, written, and edited 120 of my favorite recipes. Final edits came in late March, following a long winter. This collection is now available for purchase for $20. Mail order is available for an additional $5 within the USA. The recipes emphasize the importance of sustainable food choices. Most recipes are easy, many are vegetarian, and all are delicious. Products sought after at the local farmer’s market are revealed here too. It is also a memoir, where humorous aspects of my early life are revealed. If you would like a personalized copy, please leave a comment in this post. Thanks so much for your continued interest in home, garden, life.